The new state-of-the-art FCT Embrace computed technology (CT) solution by Fujifilm Medical Systems USA, Inc. is designed to provide exceptional imaging capabilities on an easy-to-use, standardized platform for both radiology and oncology. Launched at ASTRO 2018 in San Antonio, the system is designed to improve accuracy throughout the entire oncology care cycle. Featuring an 85-cm bore, which optimally matches the rotational arc of the linear accelerator, the FCT Embrace is a unique solution that allows oncology patients to be imaged in their optimal treatment position at the full clinical image quality afforded by 64 slice or greater systems for the first time. The system features advanced laser technology, which ensures extreme precision, down to the exact pinpoint, according to the company. And with the industry’s fastest bore rotation time of 0.4 seconds, the FCT Embrace empowers efficient, productive workflows. In addition, the unit has a smaller footprint that economizes space, and features the widest tabletop available at 49 cm, which accommodates bariatric patients of up to 660 pounds. Additional features include: PowerLink slip-ring technology that enables bore accelerations greater than 80 G; Synapse 3D imaging, which uses 50 different applications to ensure high image quality; and scanning capabilities up to 128 slices to ensure that final images are noise-free. Bringing its vision of a synergistic care experience to life, Fujifilm has teamed up with best-of-breed partners. Among collaborations, Analogic powers the system, and Imalogix provides software that extracts actionable insights from radiation dosage tracking to consistently improve patient safety. DORADOnova provides the moving laser system, setting the standard for precise patient alignment. And for oncology needs in particular, packages include RaySearch’s breadth of cancer therapy options, making a wider variety of treatment methods possible. 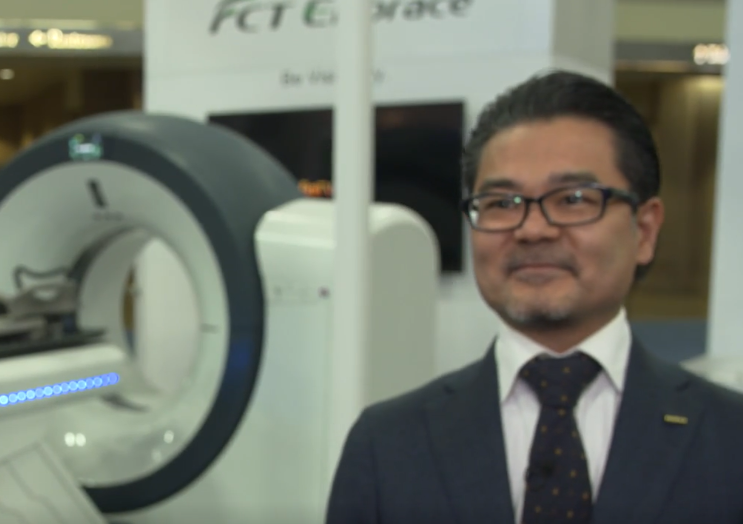 Fujifilm’s new FCT Embrace designed for visionary performance. Appl Radiol.